Taadaa! 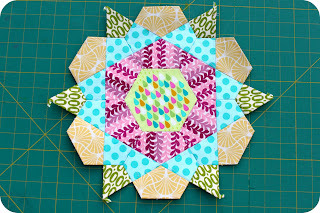 This block was finished promptly thanks to all of that hand sewing I got done during the Olympic opening ceremonies during the Austin Modern Quilt Guild weekend sewing retreat. Remember, if you need some hand sewing to keep you from chewing your fingernails off during Olympic competitions, check out Clare's tutorial on selfsewn. i quite like this one! how many do you have so far? 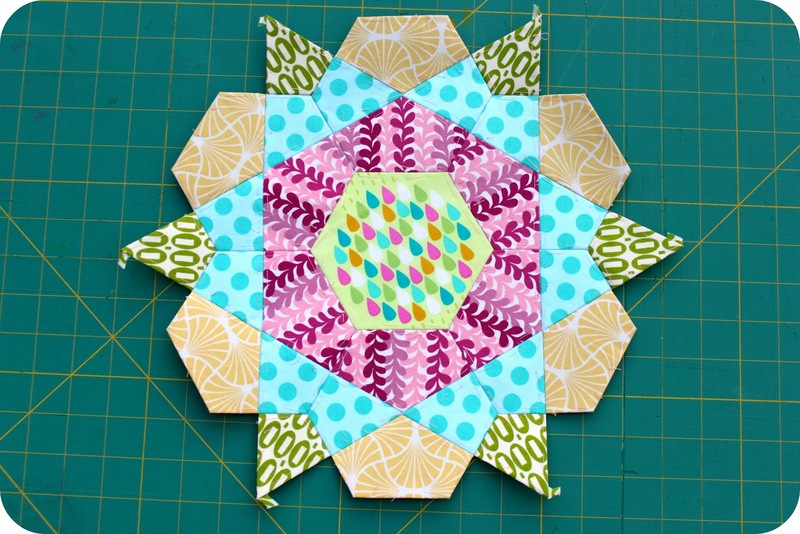 do you think you'll epp in the background or will you applique the blocks onto squares? just curious. i've been contemplating both options for some that I'm working on.